9 key marketing and management areas to focus on going into the New Year. Another year of record yields across much of the Midwest has turned into a good-news, bad-news story. With harvest complete farmers will be tested on other aspects of their business — particularly commodity marketing and financial management. To be sure, some farmers had bountiful yields and sold enough ahead of the big-supply and tariff-driven price crash to make decent profits this year. On the other side of the coin are farmers who may be sitting on not just one, but two years’ worth of stored crops. If that’s closer to your situation, the marketing and financial homework you do this winter can go a long way to ease uncertainties. “This is a steady-as-you-go world, but from my perspective, the farm economy tends to wear on the farmer and the family, and in a lot of cases can tear apart the fabric of rural America, not knowing where we’re going to be in 2019,” says Curt Covington, executive vice president at Farmer Mac, the largest secondary market for ag real estate mortgages. Better-than-expected yields eased the pain for some growers in recent years. Those who own most of their land with little debt also may have the cash flow to wait for better times. But more growers may be in trouble. In Farm Futures’ August survey, 21.5% of farmers expect to have trouble borrowing money to operate in 2019. And over half admitted to worrying about paying back debt. So what is your game plan for the new year? Here are nine key business strategies to consider. Build your strategy for today’s environment and first work on the hard stuff — your operation’s overall cost structure. Check that your costs per bushel of expected production are competitive with other highly profitable farms. You can do that by talking with lenders, looking at benchmarking sites at your land-grant university, or checking out the FINBIN database at finbin.umn.edu. “You need great intel on purchase costs,” says Brent Gloy, a Purdue ag economist and Nebraska farmer. “If you’re satisfied with cost structure on variable costs, focus on machinery and land. 2. Do a better job marketing. Even those with a solid balance sheet should evaluate how much they need to limit risk. That goes for 2018 inventory in storage as well as crops they plan for 2019. In August’s survey, just 36.6% of farmers said they forward-priced enough 2018 production to make a profit. Those farmers who did sell into rallies last spring likely will break even or make a small profit, especially after Market Facilitation Program payments are considered for soybeans. 3. Know and understand your lender. Beware of inexperienced lenders who haven’t been around commodities long term and don’t understand ag cycles. “Some of them want to minimize their exposure to this market and probably don’t have the stomach for this current cycle,” Covington says. Others may understand the market, but have such a high concentration in agriculture, they need to limit or reduce exposure, especially in the grain sector. Still other lenders — mainly those who have worked in agriculture long term — understand the cycle and have helped position farmer-customers to make sure they have plenty of liquidity. These lenders should help with a good marketing plan. 4. Get your financial house in order. Have a good understanding of everything in your financial statement and be able to answer anything the banker may ask about your financial condition. Before you meet with a lender, create a set of realistic projections for the coming year. Getting your house in order includes a realistic marketing plan that passes muster with lenders. Stored crops need a written plan with expected sales and prices based on production costs and revenue targets. Make sure you follow through. 5. Be transparent with family and business partners. With trusted advisers — whether family, retailers or lenders — transparency is your friend. 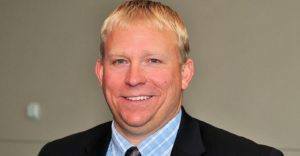 Retailers and bankers want to keep farmers on the land and continue to keep that client base, so they’re willing to work together to position farmers in a way to remain profitable if possible, says Nate Franzen, president of the agribusiness division at First Dakota National Bank. If you’re going through rough times, confide in your loved ones. Don’t try to be a hero and go it alone. Likewise, be transparent with your lender. The two of you are partners, so you need transparency. 6. Put your business through a stress test. Lenders can provide you with great insight to your business through financial analysis. One of those tools is a stress test — in effect, a “worst-case scenario” quiz to see just how your farm would stand up if times got tough. A stress test looks at what might happen if you have a 10% decrease in revenue, 10% increase in expenses, or if interest rates go up 2 points. Look at cash flows and profit-and-loss statements, especially if your operation has been stable without big purchases. Look at three- to five-year averages as a starting point. If you want to impress your lender, stress-test your own operation with best-case, worst-case scenarios, along with what you think is most likely going to happen to your farm next year. Then lay that in front of the banker and talk intelligently about what is in your control and what is not in your control. “You can’t afford to spend money on things that aren’t making a difference,” says ag banker Nate Franzen. 7. Be a proactive manager. No one ever likes to sell a piece of land. But as the value of land continues to hold in this downcycle, it may be the smartest choice to make. Franzen says machinery and equipment dropped a fair amount in market value, especially used. Land prices are down in most areas but have held up better, giving producers an option to sell a piece at a fair price and get the most bang for a buck. If the mindset is to do things the way Grandpa did, that’s a slippery slope. 9. Stay positive. Franzen says it’s easy to get down when you’re dealing with low prices. If farmers can recognize that they’re in a bad spot, they need to reach out to talk to people they trust who have expertise. Farms with poor liquidity and working capital may get limited financing. In lending terms, they’re called covenants, conditions and restrictions. Some more common negative covenants for borrowers include not being allowed to spend X amount on capital expenditures, new or used; not being allowed to spend cash that could be used to repay the operating loan; being limited on how much you can draw for living expenses; or being given a limit on cash rent per acre. “The whole point of those covenants is to ensure the long-term viability of that borrower, and his or her business, by agreeing to do this,” says Farmer Mac’s Curt Covington. Let’s say your operating loan is in tough shape. The lender may say that you need to restructure the loan. What does that mean? “If a borrower is in distress, it’s that borrower’s responsibility to come up with a plan to fix the problem,” he says. “The problem is not all farmers really know how to put a plan together. That banker is looking for a plan that’s achievable and executable. That’s difficult for farmers because it’s usually painful, especially if it requires him to sell land. It must be a plan that returns the business to viability.